A rash of bus accidents along the East Coast in recent years has motivated the Federal Motor Carrier Safety Administration (FMCSA) to review and update bus safety regulations and federal laws. Although the FMCSA is working to improve bus safety across the country, change takes time and bus accidents are still all too common in Georgia. If you or a loved one has been injured in a bus accident, you may be entitled to collect damages for your medical bills, your lost wages, and any additional damages related to your injuries. To learn more about your case, or to ask a question about your bus accident and injury, please contact the experienced bus accident attorneys at Van Sant Law. The bus you are riding collides with another vehicle or object. You are struck by a bus while driving your own vehicle. You are struck by a bus while walking or riding your bike. You are injured due to a poorly designed bus station. You are injured due to a poorly maintained bus station. You are injured at a bus station with poor security. You are injured when the bus you are riding suddenly starts or comes to a stop. You are injured when your bus suffers a mechanical malfunction. 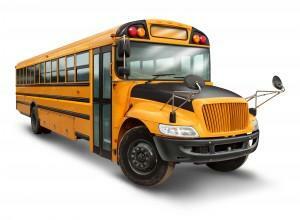 A bus accident injury claim is usually more complicated than a traffic accident involving non-commercial vehicles. Not only is the cause of bus accidents often more difficult to understand, but also the bus’ insurance provider often has the power and money to fight back aggressively in order to avoid payouts. In addition, Georgia’s sovereign immunity laws may make it more difficult for accident victims to collect fair and timely compensation when it comes to bus accidents involving government entities, such as a transportation authority or department of transportation. If you have been injured in a bus accident, your first course of action should be to seek all appropriate medical care. Any information you can gather about the accident, including photographs of the site and witness accounts, may also help with your claim. Do not sign anything given to you by the bus company or insurance adjuster, as you may be signing away your right to fair and proper compensation. The bus accident attorneys at Van Sant Law are here to assist you through every step of your bus accident claim, from collecting evidence to negotiating with the insurance company. To partner with an experienced, aggressive personal injury attorney today, please call us or fill out our contact form.